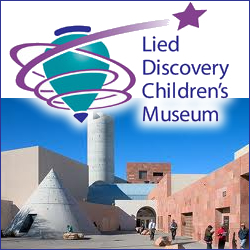 The Lied Discovery Children’s Museum in Downtown Las Vegas Nevada is two floors of great educational fun, and the perfect place to host your child’s party event. There are three great party rooms to choose from at the museum – you can also choose a fun party theme for your kids celebration. Party themes include face painting, balloon art, bubbles, Space Mud, Slime, and more! Book your party today!